With an expected but exciting finish to the New Zealand Rally Championship held in Gisborne last weekend, sponsors of the 2WD championship Gull New Zealand have pledged their ongoing support to the sport for another year of off-road action. Gull became a class sponsor at the start of the 2012 series, in strong support of the development of skill within the class dominated by younger drivers with a promising future in Rally. The family owned and operated network of stations Business Development Manager Ulrik Olsen says “it was fantastic to see a driver from the 2WD class finish up in second place overall – a huge buzz for Ben to prove it can be done, and a testament of why we’re so supportive of these guys”. 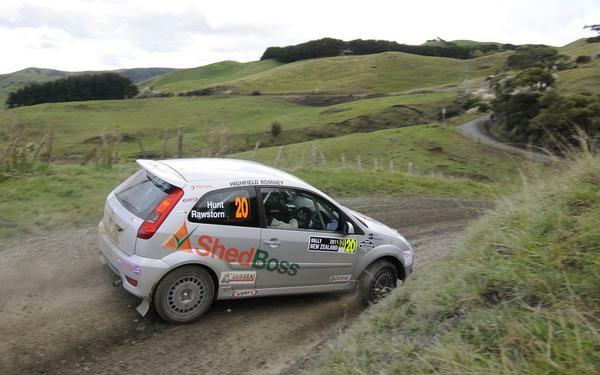 The fifth and final round of the New Zealand Rally Championship for 2012 provided it’s fair share of action across the 2WD class, with Coromandel’s Ben Hunt finishing in 2nd place overall. This gained Ben the point’s advantage needed to secure first place in the 2WD Group N class followed by Tauranga’s Phil Campbell. Campbell, who returned to the championship in fantastic style following a severe crash in round 4 of the championship, was followed on the points table by Christchurch’s Josh Marston. Sitting out the round because of commitments to the build of his highly anticipated M-Sport R2 Fiesta, Marston will resume in the 2013 New Zealand Rally Championship at the helm of the R2 - the first of its kind to race in an Australasian rally. Another name in the 2WD class which has gained exciting times and exposure this season is Bay of Plenty driver David Holder, who delivered some impressive times in his Toyota Levin across the championship, to finish with top points in the 2WD open class of the championship.